A concept previously confined to the hippest food and drink ventures, pop-up culture has spread exponentially over the last year – and now may even be reaching the legal system in the UK. We all are familiar with the idea of pop up shops and restaurants- they are new and enticing, interesting and different - and very much designed to meet what people want. Now it seems we may be finding this model mirrored in the justice system. Government ministers have introduced the prospect of “pop-up courts to deal with routine matters, such as lower level road traffic offences. Government thinking behind the introduction of these ad-hoc courts is outlined in this article from the Telegraph. The plans would lead to local courts being held in local buildings such as village halls with “roving magistrates “dealing quickly with cases from the local area. Surprisingly the Government approach seems to be that people won`t seek to challenge fixed penalty notices as their local community will be able to hear the allegation. 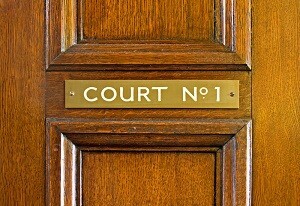 At Unlock the Law we think the greatest benefit to such an approach would be quicker access to justice – people currently often face the prospect of either accepting a fixed penalty they actually don’t agree with because the only other option is to become involved in full court hearings with often multiple hearings before any trial can take place. There is no doubt that people would like matters dealt with quickly and also locally – both in terms of reduced travel time and also local knowledge being brought to bear in bear in coming to decisions. It might be that the person who has received the fixed penalty could have the choice of having a hearing in the local “pop up” court or a full court hearing which would involve more formal processes. Choosing the “pop up “ version might lead to more of a “Judge Judy” feel to proceedings but given that lower level matters are being dealt with that may suit all parties and also take pressure off the full court system – surely a good thing.